Religious hostility too often sits at the core of conflict and violence. Honest dialogue and mutual respect are part of the solution, and hence one reason Loma Linda University Health has created the William Johnsson Center for Understanding World Religions. The new center, approved by the Board of Trustees in February 2016, will hold its inaugural event Saturday, Jan. 28; full details are below. The name of the center recognizes William Johnsson, PhD, MA, and his contributions to promoting interreligious understanding in the Seventh-day Adventist Church. 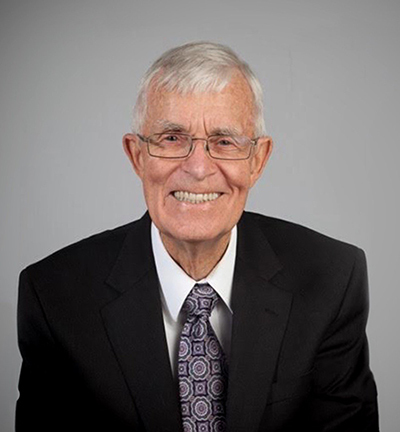 Johnsson served as assistant for interfaith relations for former General Conference President Jan Paulsen for a number of years following a prolific career in publishing and scholarship in the Adventist Church. Johnsson retired to Loma Linda in 2014, where he regularly teaches courses for LLU School of Religion and still writes books. “Dr. Johnsson’s knowledge and passion for world religions have been invaluable to our campus,” says Richard Hart, MD, DrPH, president of Loma Linda University Health. Dean Paulien notes that central to the definition of a university is the exchange and understanding of diverse ideas — such as different religious beliefs. “Working or studying at Loma Linda University Health is a calling, not a job,” Paulien says. “If God calls non-Christians to Loma Linda, then that is a spiritual gift to us. They can benefit us by testifying to what God has done in their lives. For its initial activities, the William Johnsson Center for Understanding World Religions will hold meetings twice yearly, each focusing on a different religion. The inaugural event will take place this Saturday, Jan. 28, with a focus on the faith of Islam. The 3-5 p.m. program will explore the role and experience of Muslim students and faculty in the context of Loma Linda University Health’s mission and values. It will meet at the Damazo Amphitheater in the Centennial Complex, 24760 Stewart St. Free parking behind the building is plenteous. President Hart will offer an introduction, while Johnsson, the center’s namesake, will discuss the scope and purpose of this new enterprise. Johnsson also gave the initial donation to launch the center. The program’s expert presenters will almost all be students and faculty at Loma Linda University Health. A steering committee comprising Muslim faculty planned the event and selected the speakers. Nahidh Hasaniya, MD, PhD, associate professor in the School of Medicine, will offer a recitation from the Quran, followed with a translation by Shamel Abd-Allah, MD, professor in the School of Medicine. A special guest from Claremont School of Theology, Jihad Turk, MA, will offer a talk titled “Why I Am a Muslim.” Turk is president of Bayan Claremont, a seminary to educate Muslim scholars and religious leaders. Gerald Winslow, PhD, director of the LLU Center for Christian Bioethics, will then speak about Seventh-day Adventism and Islam. A panel discussion will follow, including Winslow, Hathout, Turk and Torabinejad as well as student Sara Haddad Tabrizi, LLU School of Public Health, and Khwaja Arsalaan Ahmed, radiology resident at Loma Linda University Medical Center. The choice of Islam as the first program’s focus reflects part of the impetus to start such a center at Loma Linda University Health. The original suggestion for such a center came from Gabriela Profeta-Phillips, coordinator of Adventist-Muslim relations for the North American Division of Seventh-day Adventists. Phillips and other General Conference representatives met with the School of Religion dean to develop a proposal to share at LLU Deans Council on Dec. 2, 2015, unknowingly at the same time a young Muslim couple unleashed a terrorist attack on San Bernardino. In the wake of that tragic event, the Deans Council reacted very favorably to the idea, with top-level administrative commitment coming soon after.